(Nov. 30, 2016) The Portland Bureau of Transportation (PBOT) released its findings today after six months of testing and observation of design improvements on the SE Clinton Neighborhood Greenway. 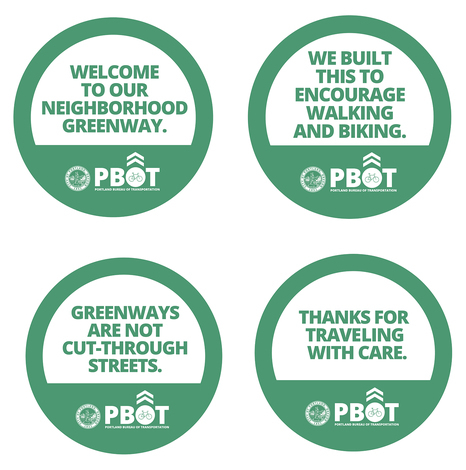 Citing traffic count data, PBOT declared the project a success saying that safety conditions have improved significantly thanks to the installation of diverters and speed bumps that have lowered traffic volumes and vehicle speeds along the Greenway. Due to its success, in the coming week PBOT will replace the temporary diverter installed at SE 32nd and Clinton with a new, permanent diverter (weather permitting). Illustration of the permanent design for the SE 32nd Ave diverter on SE Clinton Street. After holding public meetings with residents in the neighborhood in the fall of 2015 as well as conducting an online survey, the bureau installed two diverters along the greenway - a median diverter at SE 17th Avenue and a temporary semi-diverter at SE 32nd Avenue - in January 2016. PBOT also restriped SE 34th Avenue between SE Clinton and SE Division Streets to a one-way northbound with a contraflow southbound bike lane to improve safety. Testing was done on these improvements after a period of six months, to allow for traffic conditions to adjust to the changes. Volume and speed traffic counts were collected in May and June of 2016 at 35 different locations within the project area which stretched from SE 12th Avenue to Cesar Chavez Boulevard. Before the test, all six monitoring locations within the test area were either near or above 2,000 cars a day, the maximum performance guideline for total auto volumes on a neighborhood greenway as defined in the City’s Neighborhood Greenways Assessment Report which was adopted by City Council in 2015. Traffic count results following the six month test period found that auto volumes on SE Clinton were reduced significantly across the entire test area, with reductions in volume between 900 and 1400 cars per day (-34% to -75%) thanks to the design improvements. The street segment between SE 21st and SE 26th Avenue that still exceeds the 2,000 car per day threshold is slated to get additional speed bumps in 2017 as part of an upcoming paving project. Four lawn sign messages were developed to raise awareness of SE Clinton Street’s classification as a neighborhood greenway, and the how greenways are supposed function. In addition to diverter installation and restriping of SE 34th Avenue, speed bumps were added on SE Clinton between SE Cesar Chavez Boulevard and SE 50th Avenue, new ‘Bikes May Use Full Lane’ signage was installed and the speed limit on Clinton was reduced to 20 mph where auto volumes are below 2,000 cars per day. The total project cost was $215,000. Installation of the permanent diverter at SE 32nd Avenue will cost an additional $15,000. 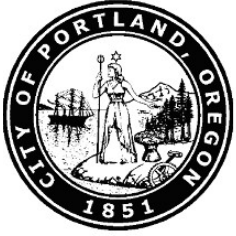 The City of Portland has joined cities around the country in embracing Vision Zero – the notion that the death of even one person on our roads is one too many. Vision Zero prevents traffic deaths through smart policy and system design, like the improvements made to the SE Clinton Neighborhood Greenway. Learn more about Vision Zero by visiting www.visionzeroportland.com. The full SE Clinton Neighborhood Greenway Enhancement Project Report can be found at www.portlandoregon.gov/transportation.